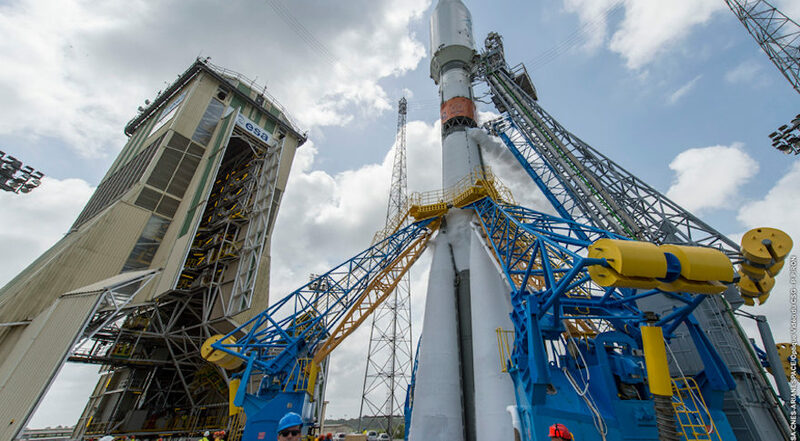 Israël said those three Soyuz launches will take place from the Guiana Space Center in French Guiana where Arianespace also launches the heavy-lift Ariane 5 and light-lift Vega rockets. For OneWeb, Arianespace is returning to Baikonur for the first time since a 2013 Soyuz launch for Globalstar. Arianespace, upon winning the OneWeb launch contract in 2015 for 21 Soyuz missions, said then that most of those missions would take place in Baikonur so that the Guiana Space Center could be prioritized for European government missions. Israël said the Soyuz rockets for OneWeb are ready, and that Arianespace will be able to meet OneWeb’s fast-paced cadence of one launch every three weeks so long as OneWeb provides the satellites. Greg Wyler, OneWeb’s founder, said the company is ready for the first launch and anticipates having around 150 satellites in orbit by the end of the year. OneWeb plans on starting service with around 300 satellites, and having full, global coverage with 600 satellites. Arianespace has four Vega launches this year, not counting the Vega C debut: two Falcon Eye Earth-observation satellites for the United Arab Emirates, the Italian Space Agency’s Prisma Earth-observation satellite, and the proof-of-concept launch of the Small Spacecraft Mission System. The Italian Space Agency’s Prisma satellite was planned for a 2018 launch, but was pushed out to this year by delays with the European Space Agency’s Aeolus wind-mapping satellite, which launched on a Vega in August. Israël said Arianespace wants to launch three to four Vega rockets annually now that the launcher, commercially introduced in 2012, has cemented its place in the small-satellite market. Israël said Arianespace will soon need to discuss an additional Vega production order with Avio of Colleferro, Italy. Arianespace’s last Vega launch of 2019 will use the first of 10 rockets ordered in 2017. Those 10 Vega rockets — a mix of Vega and Vega C that Israël declined to quantify — should last until 2021 or the beginning of 2022, he said. Arianespace recorded 1.4 billion euros in revenue for 2018, roughly the same as in 2017 and 2016. Israël said the company expects to break even, but is still tallying its overall financial performance. Last year Arianespace launched 11 times — six Ariane 5, three Soyuz and two Vega — equal to the year prior but three less than anticipated. The three missions that didn’t take place in 2018 — the Arabsat-ISRO Ariane 5, OneWeb’s first Soyuz and the Italian Space Agency’s Vega launch of Prisma — are all on Arianespace’s manifest this year.